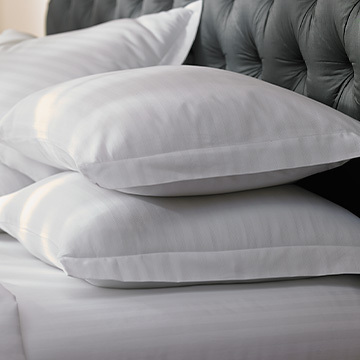 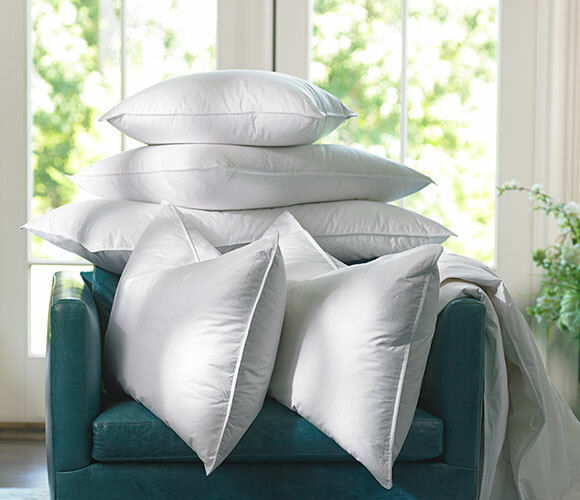 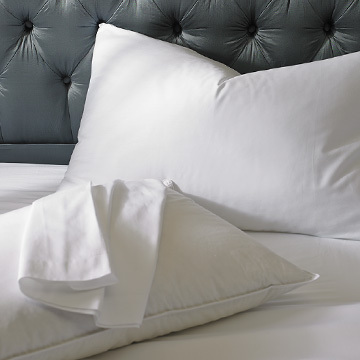 A luxurious and innovative replacement for traditional down that is perfect in every season, our signature pillow is composed of allergen-free natural materials. 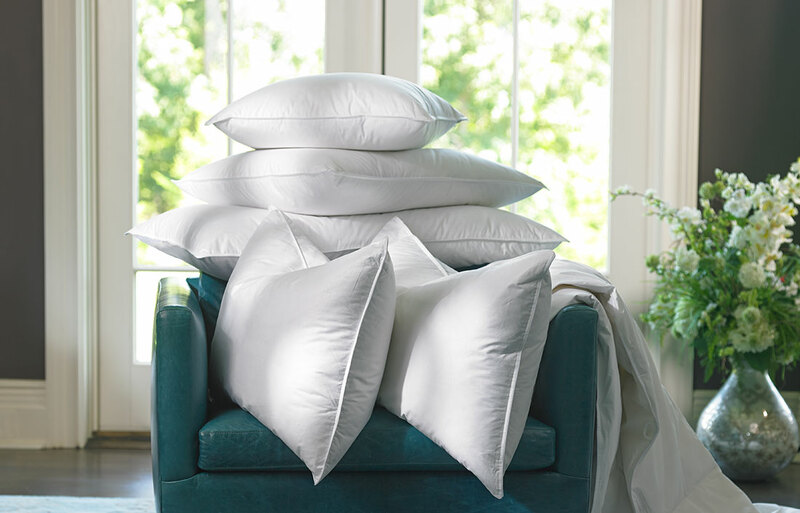 An extra-warm blend of down, feathers and Lyocell fibers combine for plush support that pleases all. 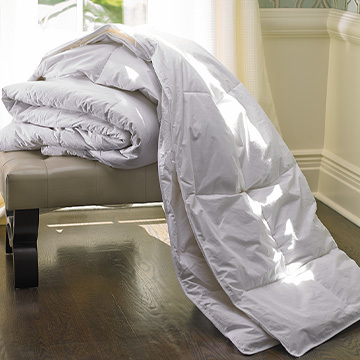 For optimal loft, the cotton cover, encasing a triple-chamber design, keeps the fill fluffy and full throughout. 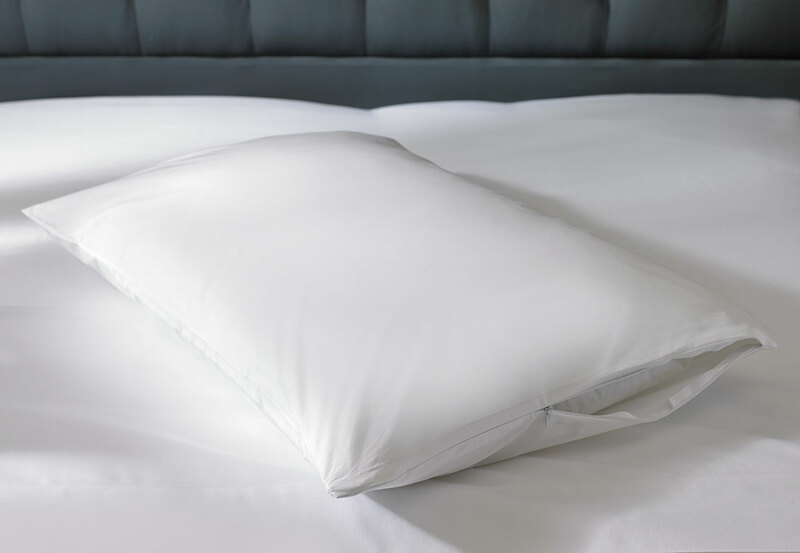 Triple inner chamber design; Outer chamber - 70% white down/30% natural Lyocell fibers; Inner chambers - Duck feather; Allergen-free; 100% cotton down-proof cover; No-shift support; Machine washable; Made in the USA; Size options: King (20" x 36"), Queen (20" x 30"), Standard (20"x 26").